In a world where self-driving vehicles are become a thing, it should come as no surprise that a self-cleaning vacuum has already been invented, and has already been popular in homes worldwide for several years. In America, robot vacuums have become extremely popular but they seem to have been comparatively slow to catch on in Australia. However, if you think it’s time to put your feet up and let the technology do the hard work, this review of robot vacuum cleaners will guide you in the right direction. And who provides them in Australia? It’s really quite a simple concept. Robot vacuum cleaners (also called Robovacs) are vacuum cleaners that clean your floors and carpets without you having to direct it. 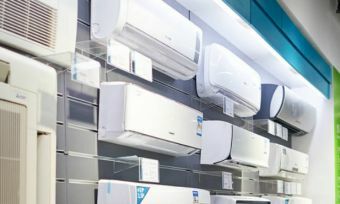 They are compact little appliances, usually no more than 10cm high, so they can easily fit into those hard to reach places like the underside of chairs, couches and other cabinets. They are circular in nature, and glide across your surfaces using little wheels to pick up any dirt and grime, so you don’t have to! 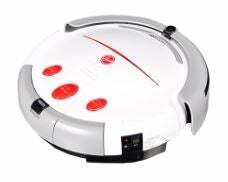 The biggest attraction to robot vacuum cleaners is the convenience factor. They are autonomous in their range of cleaning and operation, with their path determined by an inbuilt algorithm which attempts to achieve complete floor coverage (though this varies by manufacturer). They are equipped with infrared sensors, which they use to scan their surroundings and determine the location of obstacles. They’re also outfitted with ‘cliff sensors’ on their underside, which constantly checks for sudden drops – such as the tops of staircases – that could potentially damage them. They use sensors to adjust their course through your home, so you don’t need to lift a finger. 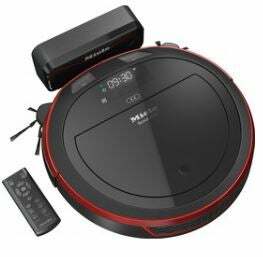 There is no definite answer to this question, since the prices of robot vacuum cleaners can vary according to the brand and factors within the vacuum. You can buy budget models that cost less than $100, whereas some higher end models go for well in excess of $1,000. The price differences are mainly down to the power of the vacuum, longevity, and extra features of each model. We will discuss some of these features and the longevity of common models below. Stair detection: This feature is standard across most basic models, and it helps your robovac detect if it’s about to walk off a ledge. Falls can obviously damage a small piece of technology like this, so this feature is a must have. Noise cancelling: Some models can be quite noisy, whereas others can be quieter than normal vacuums. The noises that they make tend to be a kind of mechanical whirring, which can really get on your nerves if you’re sitting nearby. You might want to consider getting a quieter vacuum. Virtual wall: This accessory can create invisible, virtual walls that create a barrier solely for your robot vacuum cleaner, to prevent them from entering certain areas. Scheduled cleaning: You can schedule your new robot vacuum cleaner to clean rooms of your house or apartment while you’re away. This is one of the key appeals of purchasing this type of appliance. Charging sensors: Some models come with sensors that automatically move the vacuum back to the charging station when it’s either finished or running low on batteries. This can be extremely convenient when combined with scheduled cleaning. Vacuum power: The more powerful a vacuum cleaner is, the better they will be at sucking up dirt and debris. Interestingly, the difference in price between vacuum cleaners is usually due to the efficiency of their navigation – size and power tend not to vary much to preserve mobility and battery life. If power is your priority, you’re better off simply buying a cheaper model. How long do robot vacuum cleaners last? You might be in love with the idea of a robot vacuum, but you should be aware of the disadvantages that come with owning one. Robot vacuum cleaners aren’t perfect, and we’ve compiled a list of pros and cons to simplify it for you. Should I buy a robot vacuum cleaner? Are physically unable to vacuum your home: Robovacs might be ideal for people with disabilities or those who are too frail to operate an upright vacuum for an extended period of time. If you are one of these people, then a robot vacuum might be one to consider, requiring minimal effort to clean small spaces. Have wooden or tiled floors: Robot vacuums sometimes struggle on carpets, but they work superbly on hard surfaces without pumps of rough textures. You need to reset your robot vacuum every time it gets stuck on the carpet, which can be extremely annoying. Having hard surfaces all around helps eliminate the chances of this happening. 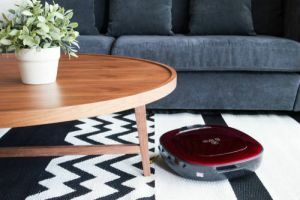 Clean regularly: For the neat freaks out there, robovacs might be the perfect solution to everyday cleaning as you can set it to vacuum on a daily occasion. Live in a small place: Robot vacuums are ideal for people who live in small houses/apartments or just want to clean one or two rooms. Most of the non-expensive units can only clean a couple of rooms before needing to be charged. Own a pet: If you’re a pet lover, then you’ll surely understand how annoying your lovable companions can be, particularly when they shed hair everywhere. Robot vacuums might not be the best solution for sucking up pet hair, but they are great at keeping on top of it in regards to regular cleaning. 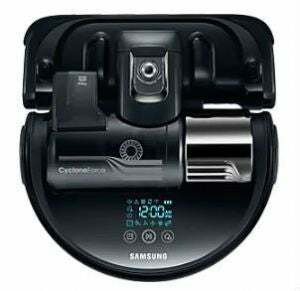 Samsung offers four models of robot vacuums at the time of writing with prices ranging from $599 to $1,999. Its most expensive of the lot is this POWERbot x70 (pictured). This unit is designed to offer convenience along with addressing the short comings of robotic vacuums before it, namely clumsiness and inability to clean hard-to-reach places. It provides up to 90 minutes of cleaning time, according to Samsung. Plus, its Select & Go system is stated to create a map of the house via your smartphone App, allowing you to individually name each room to specify areas that need cleaning. LG’s range also consists of four robot vacuums starting from $1,399 and going up to $1,899. It’s latest R9 unit features a Smart Inverter Motor claimed to rotate at high speeds and create strong air flows inside the cyclone chambers. It uses an on-board 3D Dual Eye camera and laser sensor to analyse the spaces in your home and map out its path. It comes with a 5300mAh lithium-ion battery that requires four hours to fully recharge and is equipped with a return-to-base function if the battery runs low before the vacuum has finished its assigned cleaning task. Hoover offers just one model, which sits on the low end of the price spectrum. Expect a 45 minute run time on a single charge, which might be enough for small homes and apartments. It features a virtual wall that acts as an invisible barrier to help control where the robot can and can’t go. The unit is also designed with a HEPA filter, ideal for allergy sufferers. It includes a remote control, giving you the ability to steer the vacuum, activate other functions and switch the vacuum on/off. There are also three cleaning modes including auto clean, turbo clean and a targeted mode for when you want to vacuum a specific area. iRobot offers several models ranging from $499 to $1,499. 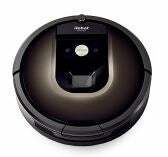 Its latest addition – iRobot Roomba 980 (pictured) – can keep track of its location and recharge when needed to get the job done, according to the brand. It’s equipped with iRobot’s AeroForce cleaning system that automatically boosts the power on carpets if required. Plus, you can control the robot via an app, giving you the ability to program schedules on the go. It also has cliff detect sensors to prevent the vacuum from falling down the stairs or tumbling over drop-offs. A premium appliance brand Miele has two robot vacuums that cost $1,399 and $1,699 respectively. The Miele Scout RX2 robot vacuum ($1,399 RRP) is fitted with sensors and cameras, allowing it to save room plans and start tasks autonomously. According to Miele, the vacuum runs for up to one hour and features a return-to-base function if it needs to recharge. It has several operating modes including automatic, spot cleaning, turbo mode and silent mode. Along with anti-fall sensors at the bottom of the unit, you’ll also find magnetic strips that you can place around the house to stop the vacuum going across these areas. In addition, it has an integrated Wi-Fi module for convenient operation. Are robot vacuum cleaners worth the money? Robot vacuums are a perfect solution to the time-poor, the physically unable and for those who simply hate vacuuming. 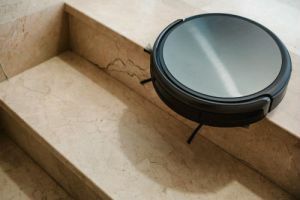 However, what you get in a robot vacuum often does not stack up to the sheer power that traditional vacuums provide – not only that but they often come at a cost premium. So you’ll have to weigh up if reduced functionality and increased cost is worth the convenience of ‘setting and forgetting’ that robot vacuums provide. Moreover, if your house is primarily carpet-floored, we suspect that it’ll be a wasted venture buying a robot vacuum. For just a little bit of your time every week or so you can save money, and get a more thorough clean with a traditional vacuum. However, many of us don’t have the time or are physically unable to vacuum, and this is where a robot vacuum shines.